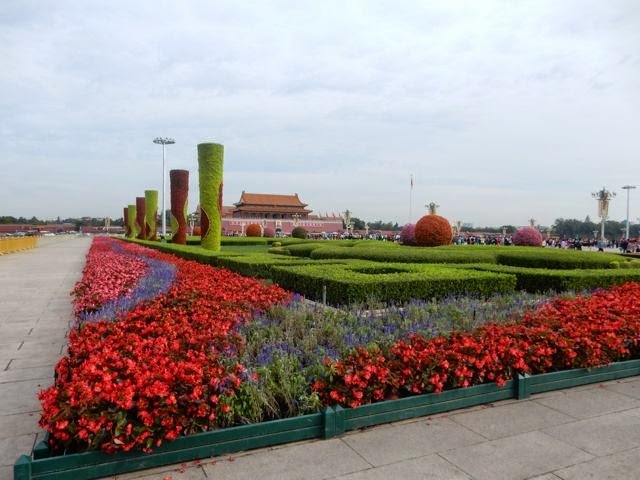 Tienanmen Square, put together in 1949 to celebrate the new People's Republic, is the largest public plaza on earth. The ground is covered in concrete blocks about 3 ft wide and can "stand" at least 500,000 people shoulder to shoulder with room. In fact, they could squeeze in one million people if everyone scrunched up. It is a place where space is as awesome as the buildings and it is at the exact city center. Through my life, whether watching in black/white or color, I remember the sort of intimidation I felt as we watched China parade its hundreds of thousands of soldiers with kick steps, heads turned right, and uniforms exact. It was always May 1st when Communist countries around the world spread their chests to show off their strength and forces so no one would think they were piddling around. Such unison was amazing, and we saw it again recently during the Beijing Olympics. Marching in unison where one is no better than the other, but all need to be perfectly in step, it was hard to tell male from female, and if anyone had a personality. 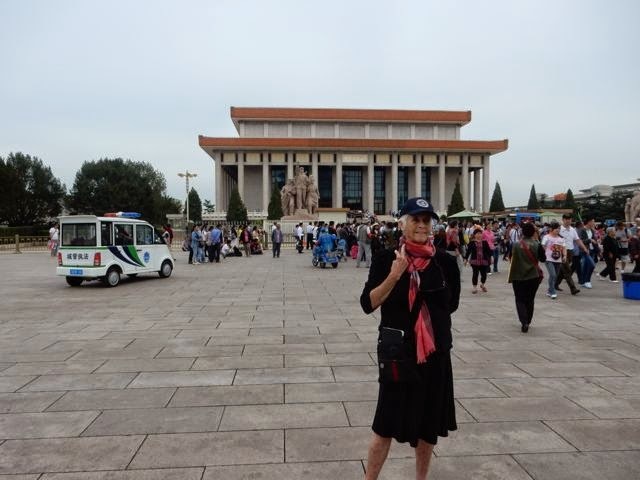 Anyone needing to scream out a plea, went to Tienanmen Square where there was public attention. How many of us watched the challenge of defiant students in 1989 when a single young man, who happened to be walking home with an armful of groceries, stood down a huge metal Russian tank. 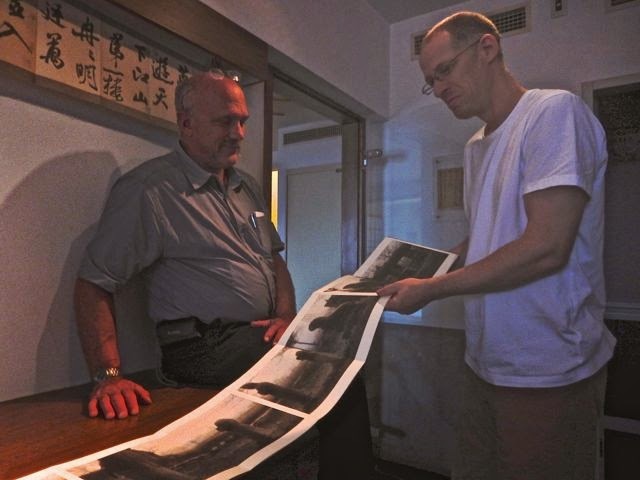 The photograph of that moment was taken by an American journalist who happened to be at the Beljing Hotel in a corner room and recorded a tense moment in history. 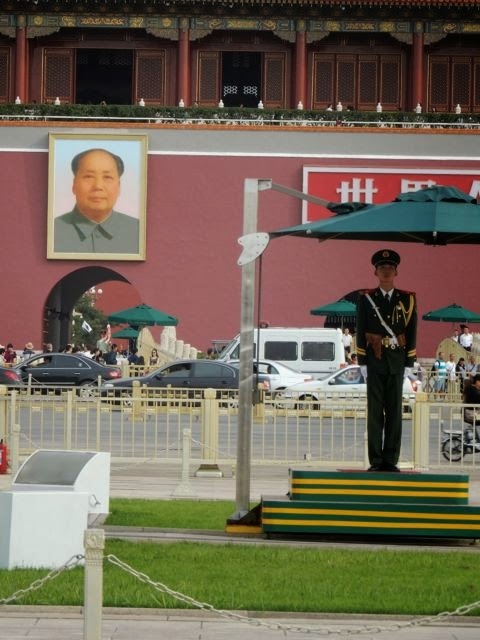 Today in this square, it is all about Mao ZeDong. At one end of the square on China's "first street" named Long Peace Avenue, Mao shouted out the creation of the People's Republic of China. Of course there, today is his image blown up 20 ft by 15ft less anyone forget. It weighs 1.5 tons and is the only portrait of him still standing in public - it takes regular upkeep, even when it is splattered with paint bombs. Best, our out-spoken Ai Weiwei famously took a selfie giving "the finger" to the portrait's location on the gate which separates The Forbidden City where emperors and eunuchs and dowagers and concubines once lived forbidden lives. He challenged me to do the same - and I did. Apparently it is a popular image. 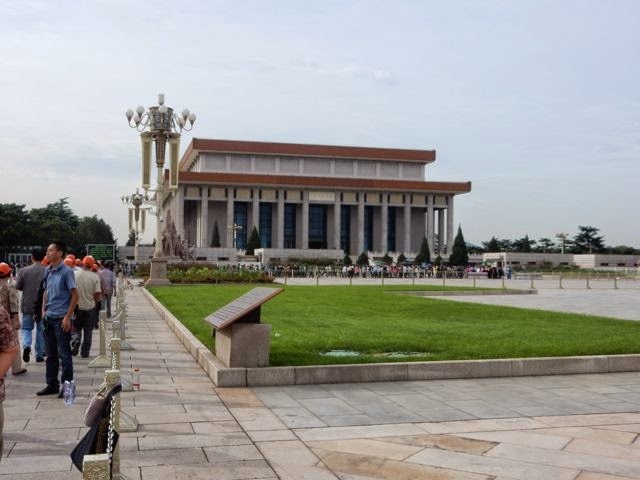 After getting the lay of the land, we joined the massive moving line of those anxious to pass through Mao's Mausoleum. It took an hour - about one mile of line 4-6 people wide bumper to bumper - for us to move through. I was a bit taken back at how 'pushy' the Chinese women can be. They run forward for a space, but the guards/police watch over people's behaviors, keeping the line moving quite quickly and reminding the offenders to take off their caps. We go through security that would shame the TSA with its speed, and once we were close to the steps before the Mausoleum, things tightened up and people got more respectful. The line splits to left and right and we walk through an ante-room where a marble statue not nearly the size of Lincoln is surrounded by plants in pots put together to look like a carpet. The crowd tightened even more as the guards pushed us forward, not allowing a moment to ponder, and we entered the room where the corpse of Mao ZeDong was displayed whether embalmed or plasticized and his face lit up with a yellowish light so we could be sure it was him, I guess. Swoosh. We were out and the souvenir booths with lots of cheap gold medallions hanging on red strings, and so forth could be purchased. 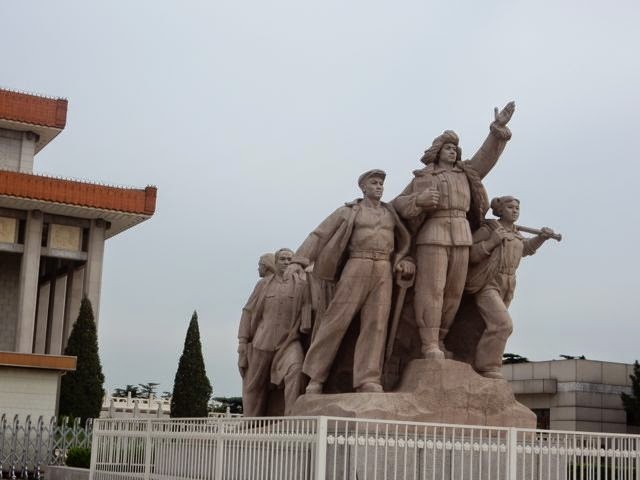 Now I have seen the tombs of not only Mao, but Stalin and Ho Chi Min in Vietnam. 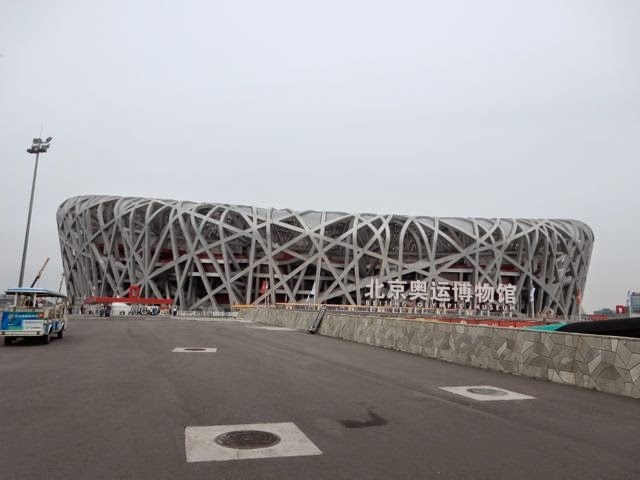 We drove up to the Olympic Site to drove around the enormous, exciting Bird's Nest stadium and the huge blue rectangle where the pool events took place. Most of the buildings are out of use but the Water Rectangle is now a public water park and Bird's Nest is used for concerts and sports events. There is a movement to create a park around the area but it is so huge, like everything in China, it hasn't gotten off the ground. Afternoon we finally were able to visit the famous 798 art theme park where galleries , restaurants, installations outside and boutiques make it the chic place to visit. 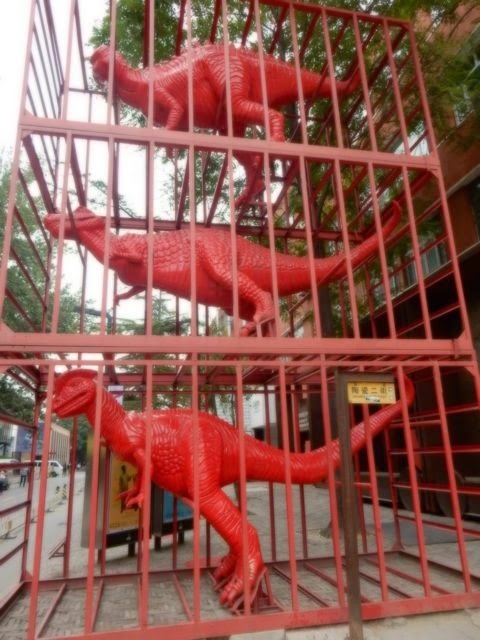 It spreads its brick walls out over quite a few blocks and is fun to walk through. 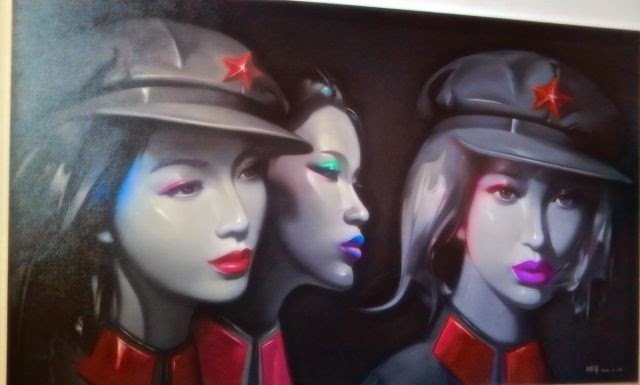 We went into various art galleries many of them between shows, getting ready for the next, like Pace, which was closed, but got a glimpse of the works of more Chinese artist mixed in with the numerous westerners who have set up studios in Beijing, to be among the stars. My favorite find was a small shop that concentrated on skeletons, skulls and crosses. Even with its salable items, there were large not-so-good paintings of the faces of Jesus, Michael Jackson and other superstars. 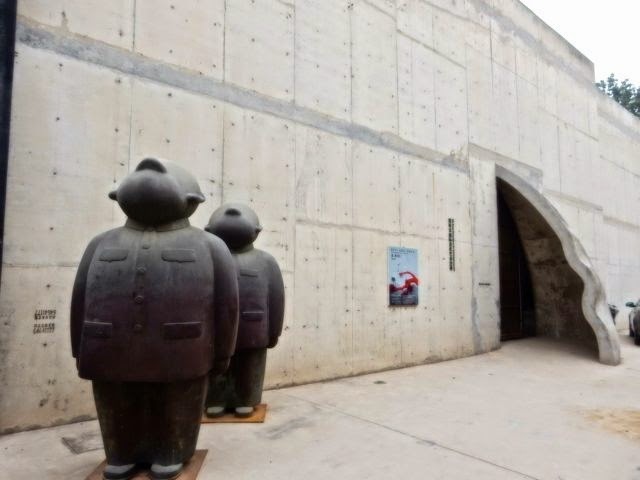 The outdoor statues, the graffiti, the ease of moving in and out of the galleries made it fun and though we covered a lot of ground, we didn't nearly cover it all. To top off the day, we visited the home/studio of Michael Churney, an American in Beijing, whose work has been purchased by the Metropolitan Art Museum in New York and he has been featured in many shows. The delicacy of his work is moving. He tries to keep alive the ancient ink painting techniques, though modestly so, and makes codex (folded pages that open up horizontally to be even 12-14 feet long)) that might be from the slice of a photograph he took of an area in his travels through China's abundant geography. He really works in photography but when enlarged and imprinted on rice paper the result resembles traditional ink paintings and I was amazed at the beauty and simplicity of things .Meeting Michael was like a deep breath of Zen. 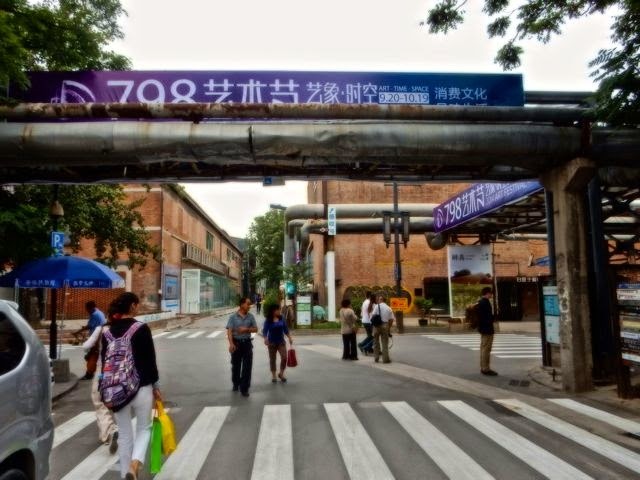 He is humbled to be able to live in Beijing over a Hutong (an ancient group of one story buildings connected where the Mongols set up stakes because wells could produce horse troughs and horses were their way of life). Mr. Churney spent a lot of time explaining his technique to us and carefully showing his work, which is really admirable. 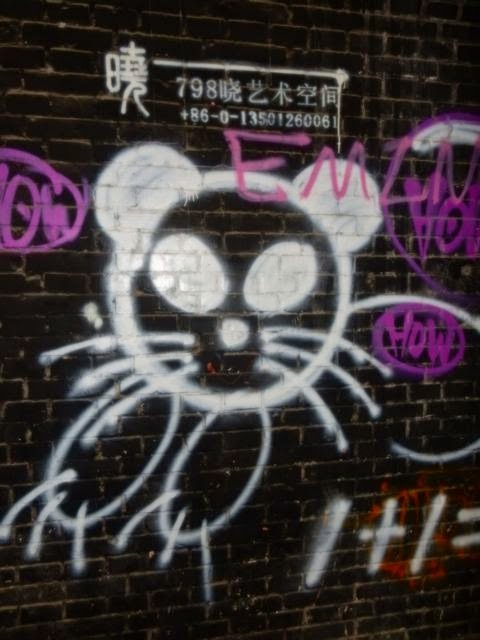 He says there is a lot of prejudice against him because even though he has resided there since 1991, he is an American artist trying to recapture the ancient Chinese method. For this reason, as much as he has studied and loves Calligraphy, he would feel uncomfortable exhibiting anything he might do around calligraphy - as if you have to be Asian to do it well. So somewhere, any day, there is going on some sort of prejudice against some race or nationality. It's just not in Memphis, folks.